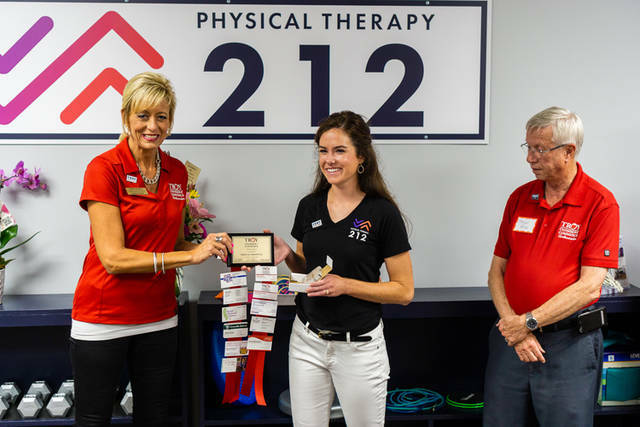 Dr. Kristen Schulte of Versailles opened Physical Therapy 212 in downtown Troy. 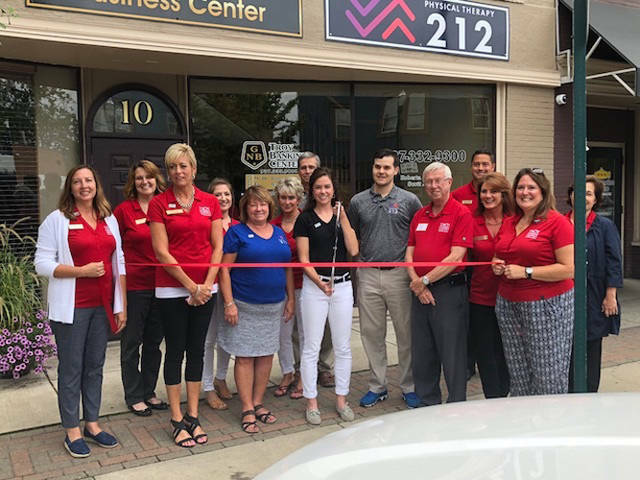 TROY – Representatives from the Troy Chamber of Commerce, Mayor Michael Beamish and local residents welcomed Physical Therapy 212 to the historic downtown area on July 24 with an official ribbon cutting and grand opening. The more than 50 attendees gathered afterward to tour the clinic and meet Dr. Kristen Schulte, physical therapist and founder of Physical Therapy 212. In her comments to the group, Schulte thanked everyone who attended including the Troy Chamber of Commerce and ambassadors who helped organize the event. The level of community support surrounding the grand opening clearly solidifies her choice to open her clinic in Troy. Physical Therapy 212 specializes in manual therapy and dry needling for immediate pain relief while teaching patients corrective exercises for long-lasting results. A short list of orthopedic conditions that benefit from these methods include low back pain, headaches, sciatica, knee pain, plantar fasciitis, tennis elbow and rotator cuff injuries. This care is achieved through a unique model in which each patient is treated individually for 55 minutes by a doctor of physical therapy at every session. Schulte welcomes all who missed the event to stop in to meet her during normal business hours, which are 8 a.m.-6 p.m. Monday, Wednesday and Thursday as well as by appointment on Saturday. More information on Physical Therapy 212 is available at www.physicaltherapy212.com.